We’re moving in! As Neal and I settle into our new home, my mind is flooded with all of the new memories I can expect to make here. Soon the rooms will be filled with laughter and joy as we entertain our friends and family. With a fresh place, we will make fresh new memories! I especially can’t wait to have the grandkids over. As summer approaches, I know that I will be looking forward to a weekend or two when they will stay at the house. These sleep over trips are filled with adventure and fun games like airplane building competitions. I cherish every moment! During these weekends with the grandkids, I struggle to think of easy recipes that satisfy the grandkids’ appetite as well as Neal and I’s. 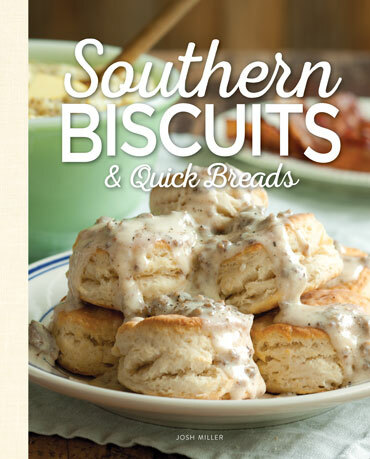 When I came across this “Toad in a Biscuit” recipe in our new Southern Biscuits and Quick Breads book, I though how wonderful these would be if I made them for the grandkids! I remember growing up having a breakfast called “eggs in a basket,” or as some call it “toad in a hole,” a slice of toast with a hole cut out in the center filled with a sunny side up egg. This new recipe is a southern twist on the British classic. So no matter what you call it, enjoy! In a large bowl, whisk together flour, baking powder, salt, and baking soda. Using 2 forks or a pastry blender, cut butter into flour mixture until crumbly. Make a well in dry ingredients; add buttermilk, stirring until mixture just comes together. Using a 1⁄2 cup measure, drop dough 2 inches apart on an ungreased baking sheet. Using a 2-inch round cutter, cut a hole in center of biscuit. Reserve cutout for another use. In a small nonstick skillet, melt butter over medium heat. Place biscuit in skillet, top-side down; cook for 1 to 2 minutes. Turn biscuit over. Pour egg white into hole in biscuit. Cook, without touching, for about 1 minute. Add yolk to white. Cover and cook to desired degree of doneness, 6 to 7 minutes. Season to taste with salt and pepper. Serve immediately. What kid friendly recipes do you make? “Neal and I’s”!!!?????? Phyllis, you know better! “I’s” is not a word. The correct grammar would be “Neal’s and mine”. I really enjoy your articles and often relate to the subject matter. I have may demitasse cups and saucers that were inherited from aunts, plus I have 2 chocolate pots and the matching cups – one from an aunt, and one that is more beautiful from my mother. Sadly, I don’t entertain with the good china and formal settings any longer. Congratulations on moving into your new home! I’ve tried the egg in the toast hole but this looks really good too…maybe even better. Thank you for the recipe. My kid friendly spinach balls are very popular, versatile and easy to make. My great niece, Josephine, loves them so much, she cheers when I bring them to the table. 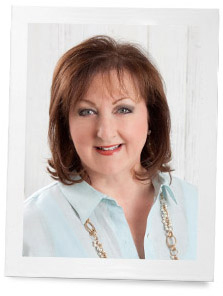 All the best in your new home, Phyllis…many God’s blessings. The British version is not called Toad in the Hole, Toad in the Hole is sausages cooked in a Yorkshire pudding batter. The Brits know fried bread with a hole in the middle and an egg cooked in the Hole is known as Egg in the Hole ! All delicious fare! My Mom made gas house egg which is a piece of bread with circle in the middle cut out egg in the hole…we were from New Orleans with gas lights is why it was called gas house egg…to this day I will ask my daughter what she wants for breakfast or any time it is gas house egg….I love your magazines and books so much thanks for the memories! I am happy for your exciting news of moving into a new home! I hope we will get to peek at some pictures of this lovely home. So excited for you! I know you both had a wonderful time at your sister’s, but there is nothing like being HOME. Love this recipe, I can hardly wait for our grandchildren to arrive this summer for a few days of “camp Opa & Oma” and these will be one of the breakfasts we make together, for sure. Thank you! 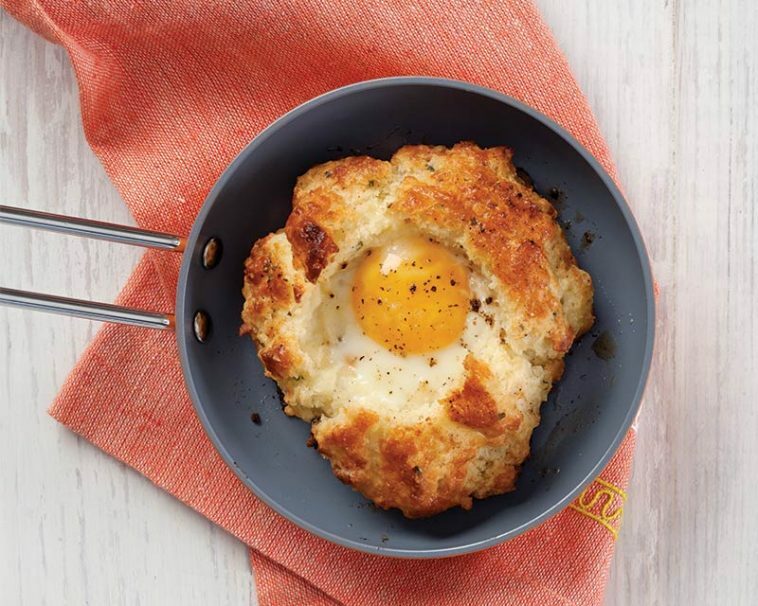 The first time I saw the “egg in a hole” was while watching Moonstruck with Cher. It looked so delicious I made it right away and loved it. I’ve also had it at Cracker Barrel and it was delicious – such a humble dish and yet so comforting and satisfying. May God bless you and your family in your new home Phyllis and thank you as always for a wonderful post. My grandmother used to make us “egg in a hole” all those many years ago. I recently discovered “Egg in a Basket” on the menu at Cracker Barrel and have made it for myself for breakfast several times recently. The wonderful memories just wash over me as I dip the circle of toast in the yolk of the egg. Your version sounds like a terrific improvement on a classic!!! I plan to make it for my grandkids and hope they’ll have warm memories to reflect on later in their lives. Yummmmm!!! Thank you for the fun recipe! We, too, can hardly wait for our wonderful children….and ….grandchildren …..to arrive at the “lake”. We will think of you as we prepare this new and exciting breakfast. How great to make new memories…. and carry the old ones with you. Both make your new house a home!